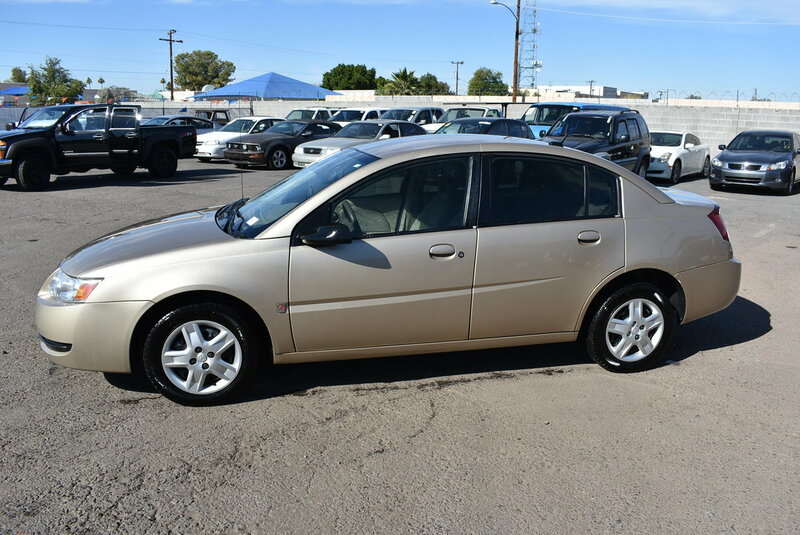 Introducing our charming, 2007 Saturn ION 3 Sedan! Power comes from a peppy 2.2 Liter 4 Cylinder mated to an efficient 4 Speed Automatic transmission. This Front Wheel Drive secures nearly 32mpg on the open road with the power needed to merge and pass smoothly in traffic. Stylish curves, alloy wheels, body color bumpers, and chrome accents highlight the exterior. This ION 3 is the forward-thinking car you'd expect it to be, and THEN some. Just take a look at our pictures - everything about this one is nice! Once inside notice the unique placement of the gauges, and soft cloth seating. You will enjoy cruise control, remote keyless entry, power accessories, an AM/FM stereo with CD/MP3 player, and smart storage spaces. All of the standard safety features are included to help keep you safe and secure on the road. Built with your needs in mind, our Saturn ION 3 offers smooth handling, comfort, and excellent fuel economy. Come on - you know you want to take a closer look at this fine sedan! Print this page and call us Now... We Know You Will Enjoy Your Test Drive Towards Ownership! Arizona car and accident free per CARFAX! !